challenging ingredients with minimal damage. for transfer, dosing, mixing and filling. with the care and respect they deserve. PCM meets the demands of the food and personal care industries and optimizes industrial processes while ensuring compliance with the strictest food standards. Food Safety First ! Consumer safety and confidence are essential prerequisite in today’s consumer market. We share our customers concerns: our ambition is to attain the highest level of hygiene standards and product care to deliver high quality, safe food. 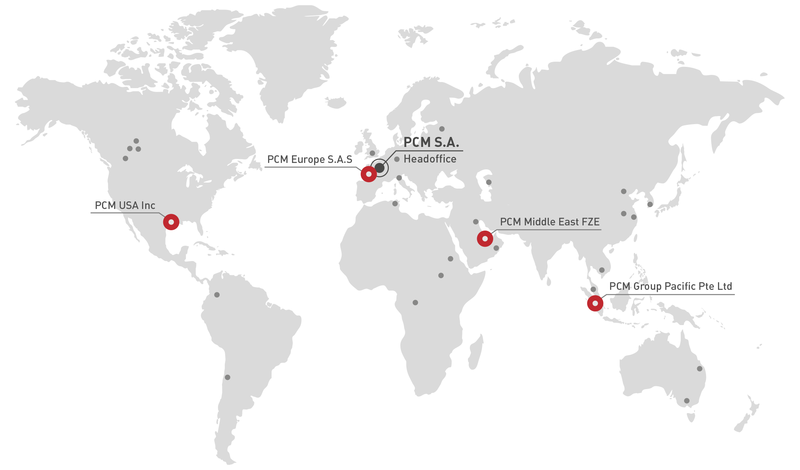 PCM provides a wide range of products and services. HyCare™ is the most hygienic pump in the market. This progressing cavity pump protects the fruits of your labour. EcoMoineau™ C, a concentration of technology! It is the shortest stainless steel Progressing Cavity Pump on the market. PCM was founded in 1932 by the inventor of the Moineau progressing cavity pump, René Moineau. Dosys™ pump technology sits at the heart of all PCM filling systems. "Customer satisfaction is the main priority within PCM Group"